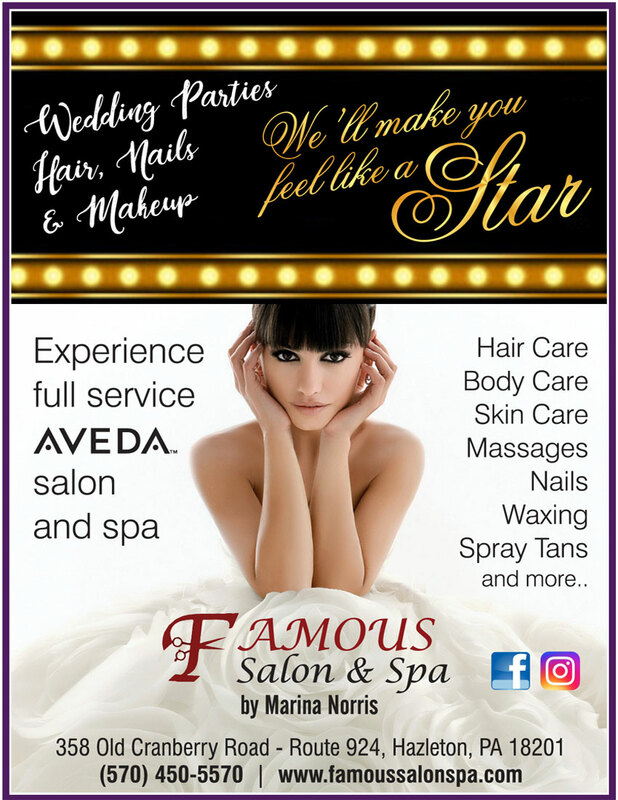 The Wedding Planner Magazine | Famous Salon and Spa your full service Aveda salon now located in Sybertsville PA 18251. Offering all services for your wedding party. Let us make you feel famous on your perfect day. We’ll make you feel like a Star….. Wedding parties, hair, nails and makeup. Hair care, Body care, Skin care, Massages, Nails, Waxing, Spray Tans and more. Experience a full service Aveda Salon and Spa.